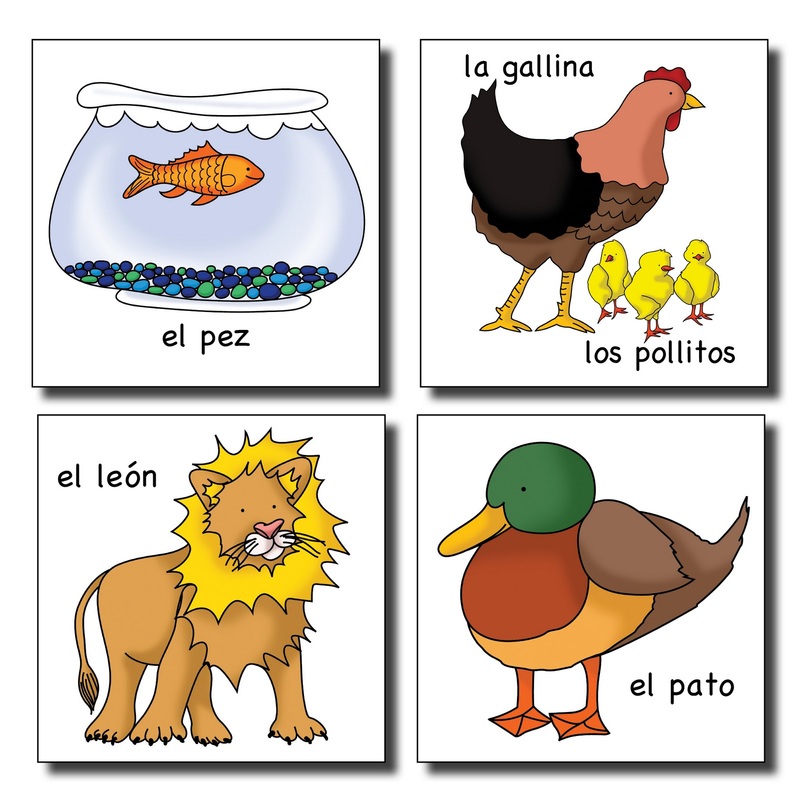 One of the my favorite resources for teaching Spanish class is the Calico Spanish flashcard set. Twenty-one of the cards are animals, ranging from monkeys to horses to chicks. 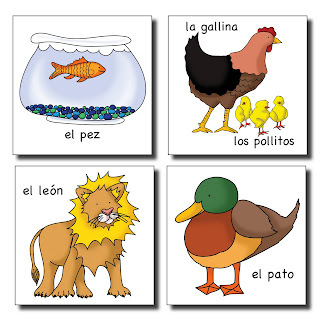 Each of the colorful pictures makes a clear connection between the Spanish vocabulary word and the animal to which it corresponds. These cards are the perfect resource for playing a quick and easy game with your students. Classroom Game: ¿Cuál animal soy? Choose the flashcards of the animals you want your students to practice. Ask for a volunteer, un voluntario o una voluntaria, and give that child one of the cards, let us pretend it’s a frog, una rana. The student then has to act like a frog while the rest of the class guesses which animal he or she is. This interactive games encourages a full exchange of communication all in Spanish. To kids it is simply a fun game that includes their favorite types of animals. We teachers know the secret; they are learning Spanish!